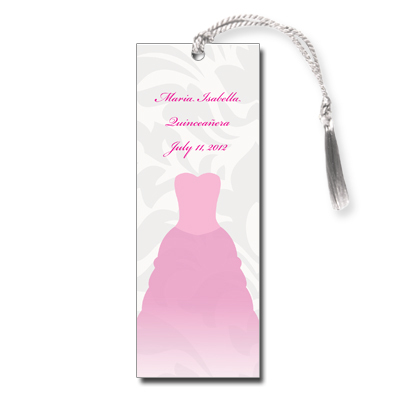 This elegant Quinceanera bookmark has a pink dress on top of a cream and gray floral swirls background. A perfect way to highlight this once in a lifetime event. The text is printed in pink, which you can personalize with the name, event and date Bookmark measures 2x5.5 and comes with white tassels; light assembly required.